On Friday, Iran and Saudi Arabia will both attend an international summit on Syria and speak diplomatically about its future for the first time. It won’t be easy, since Iran has 1500 troops on the ground supporting the government of Bashar al-Assad, while Saudi Arabia is providing money and TOW anti-tank missiles to the Army of Conquest, the al-Qaeda-led coalition of rebel Sunni fighters against which Iran is fighting. On the other hand, no diplomatic solution is going to be achieved any time soon without the acquiescence of both Iran and Saudi Arabia, so they may as well begin talking. Iran’s acceptance at the conference, alongside the US, Russia, Saudi Arabia, Turkey, Iraq, Egypt and possibly Lebanon, marks an enormous turning point in the diplomatic system of the modern Middle East. 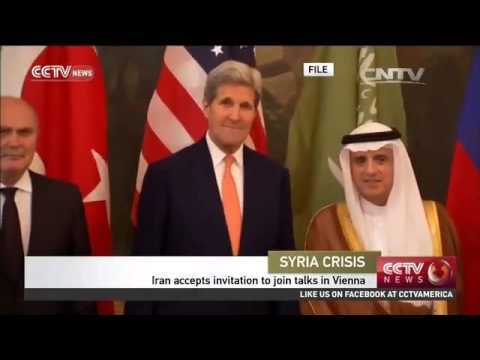 Even three years ago, when Iran first entered the Syrian theater with advisers, it was under severe sanctions by the Obama administration and the US was going around twisting the arms of China and South Korea not to buy Iranian petroleum. Iran at that time was not welcome in polite society, nor was it clear that it would be indispensable to a Syrian settlement. The 2013 election of pragmatist president Hassan Rouhani and the direct negotiations between Iran and the UN Security Council plus Germany over Iran’s civilian nuclear enrichment program gradually changed the country’s position from pariah. The successful conclusion of those negotiations in summer of 2015 and the preparations on the part of Europe and the rest of the world to lift sanctions on Iran brought the country into the international system again. At the same time, Iran’s increasingly close alliance with the Russian Federation in Syria gave it new backing in its quest to shore up the Baath regime of Bashar al-Assad. It may or may not be possible for the rebels to topple al-Assad, but given the Russo-Iranian intervention this fall, that task just got much harder and much lengthier. The refugee crisis in Europe, driven in part by the Syrian civil war, put pressure on the US and Saudi Arabia and Turkey to wrap this conflict up. It now seemed less likely that simply organizing the Army of Conquest, making quiet peace with the centrality to it of al-Qaeda, and arming the fundamentalist vigilantes would result in a clear victory over Damascus any time soon. The likelihood is that the war cannot be resolved by negotiations as yet. In the political science literature, it has been found that once an insurgency begins it typically goes on for 15 to 20 years. Lebanon’s civil war, part of which I lived through, lasted 15 years. We’re in Year 12 of the Sunni Iraqi insurgency. Factions typically go on fighting until they think there is nothing to be gained from more fighting, and until they are exhausted and have used up most of their resources. We are far from that stage in Syria. Both Saudi Arabia and the Syrian opposition are unhappy about Iran’s admission to the talks, given its commitment to the status quo. Saudi Foreign Minister Adel Jubeir insists that al-Assad must go, whether via negotiations or militarily. Iran’s opening gambit is to insist that al-Assad remain in power in some capacity. Russia is said not to be nearly so committed to the individual, Bashar al-Assad, but rather to be open to switching him out for someone else. If it can be agreed that al-Assad himself (who made himself a war criminal by barrel-bombing civilian neighborhoods) must be eased out in favor of someone who does not have so much blood on his hands, maybe the negotiations really can be fruitful.